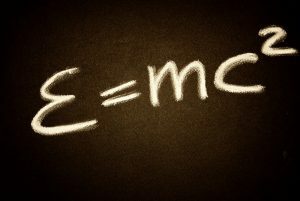 Physics aims to enhance students ability to think logically. It helps to promote problem-solving and critical thinking skills. Although useful for all careers, it is particularly useful for students considering a career in engineering or science based specialities. 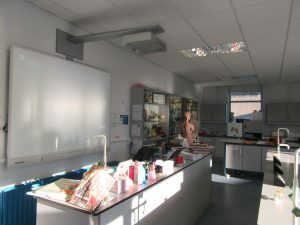 There is a fully equipped Physics laboratory with an Interactive Whiteboard, an interactive Student Response System (SRS), WiFi and all equipment necessary to carry out required experiments. The school is an affiliated member of the Institute of Physics (www.iop.org) which gives the school access to a large amount of extra Physics resources. Students are encouraged to take part in as many Physics Events as possible. Participation in Science competitions is encouraged. Attendance at relevant University Outreach events, such as TY Physics weeks, is promoted. In 6th Year, there is normally an organised tour of a Medical Physics or other relevant facility. At Junior Cycle, Physics is taught as part of the General Science Curriculum. The new Junior Certificate Science course places an emphasis on inductive learning with a movement towards doing. Students will work towards building eight key skills which include: team work, literacy, communication, self-management, numeracy, creativity, managing information & thinking, and health whilst completing the course. In the course of their studies, students undertake a range of practical work, laboratory work and fieldwork. All students in Transition year take a 10 week module in Physics. The Transition Year Module aims to instil in students an appreciation for physics and how it relates to themselves, society and the world around them and to make the study of physics an enjoyable and interesting experience for students. Every effort is made to promote students investigative and problem solving skills through the use of practical work and student centred learning activities. In the module, students learn to work effectively as a member of a group and communicate their methods and findings. There is a strong emphasis on practical work with good experimental technique being key to success in this subject.